a photo by LensLord on Flickr. Dreaming of leaving the earth starts with dreaming about the moon. I do not dream because I dislike where I am; I dream because I want mankind to travel to the stars. I want mankind to live between worlds. Is that such a weird dream? Whenever I raise my eyes to the moon, I see beyond the moon, into the future of humanity. We must travel those dark places between the stars as a complete package of this earth. We need to travel in seedships that encompass the entirety of earth. … At least, that is what I think. 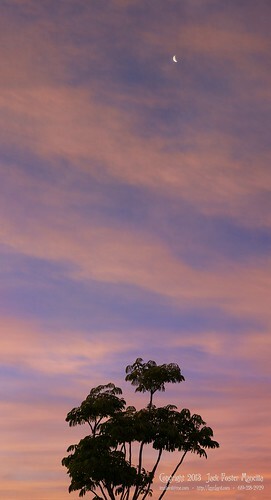 This entry was posted in Lovely Light, Moon, Night, Painterly, Purchasable - As Art Prints, Sunrise, Twilight. Bookmark the permalink. ← Andi – Running to tomorrow.